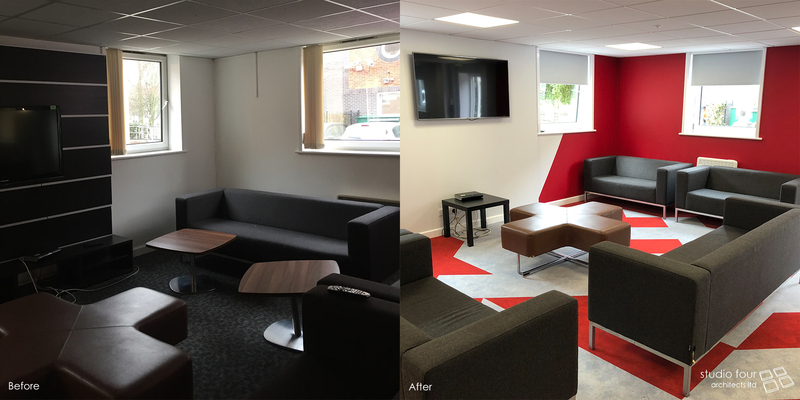 Solent University’s Kimber Hall of Residence had its opening ceremony yesterday in the newly refurbished common room, hosted by Brymor Construction Ltd. The whole team celebrated all the hard work achieved over the summer in preparation for the intake of 2018 students. The initial brief was a complete refurbishment of all en-suites to cater for ambulant, semi-ambulant and disabled students, as well as shared WCs in the common spaces, using a contemporary colour scheme and hygienic easy-clean materials. The replacement of all internal doors allowed for electronic key fob access and a more stylish look. A laundry room was also created, with an associated tank room, and improvement works were carried out within the plant room. During construction, the circulation spaces were added to the project’s scope, allowing for new entrance doors, contemporary flooring and fresh paint to all corridors. 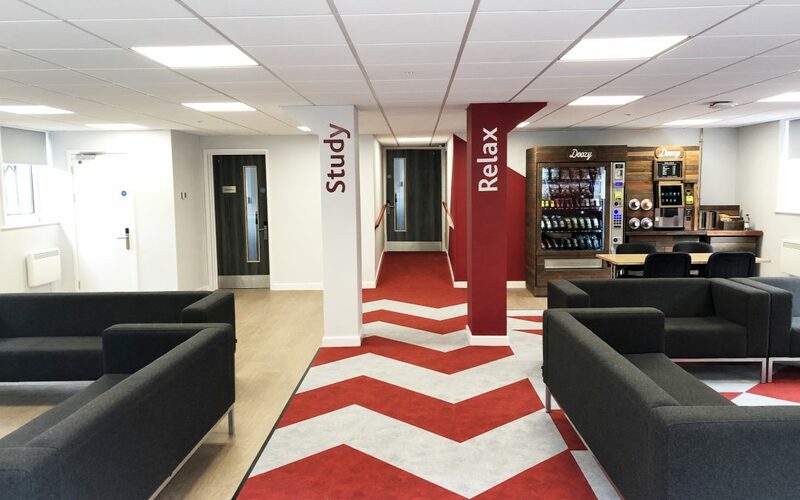 The final stage of the project was to implement an interior design solution within the shared common room, so that the space could be optimised as a modern, stylish and brighter place for the students to study and relax.